A test scenario where unmanned drones were flown alongside manned aircraft at the UK’s third-busiest airport has been successfully completed. During Operation Zenith, which was conducted at Manchester Airport in the UK, drones were flown within visual line of sight and beyond (VLOS/BVLOS) in an integrated airspace overseen by UK air traffic control service provider NATS. The air traffic controllers communicated with the drone operators using unmanned traffic management (UTM) software called GuardianUTM, developed by the company Altitude Angel. The drones successfully performed a series of on-airfield tasks without endangering or disrupting airport operations. 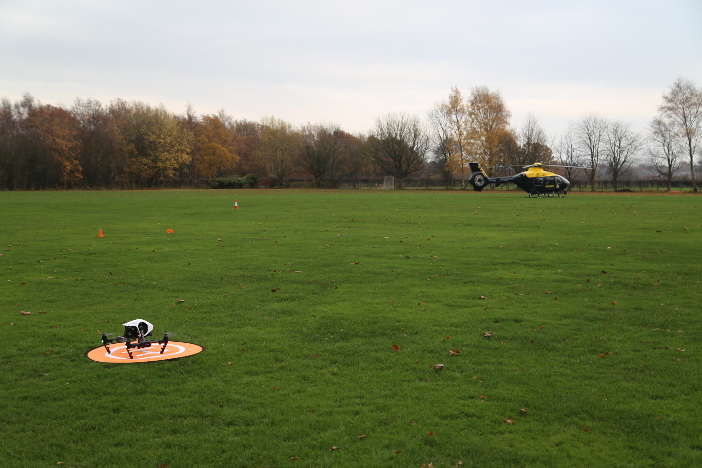 The scenarios run included an equipment delivery, runway inspections and obeying an automated instruction to clear the skies for an emergency police helicopter landing. Operation Zenith is part of the recently-launched European Commission’s U-Space Demonstrator Network. Alastair Muir, safety director at NATS, said, “With more than 25 key players from across the aviation industry cooperating on this project, it has been possible for us to create a safe environment in which drones and commercial aircraft are able to co-exist safely in controlled airspace. “From our perspective, allowing visible UAVs safe access into controlled, integrated airspace is the best way forward, both for the drone industry itself and for aviation as a whole. Richard Parker, founder and CEO of Altitude Angel, said: “We believe the GuardianUTM operating system is now the most fully-featured UTM system in existence, capable of acting as the vital middleware layer in the emerging drone ecosystem today, bringing together aviation and technology stakeholders around core capabilities including registration and identity, automated decision-making, remote drone control, real-time communications, ATM integration and even rogue drone detection.